I just received a shipment of tubes and heat-pipes for my next series of geyser pump /heat pipe experiments. 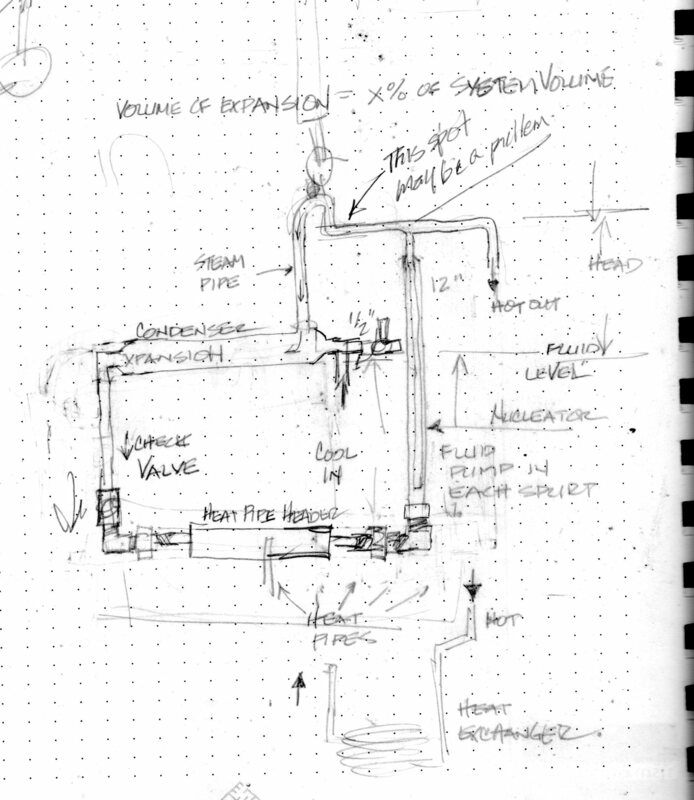 I am going to attempt to geyser pump a 30-tube collector array. 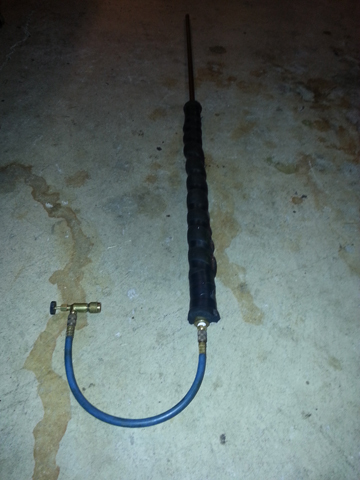 I will start with a standard Apricus 30-tube header acting as an evaporator for a heat-pipe. 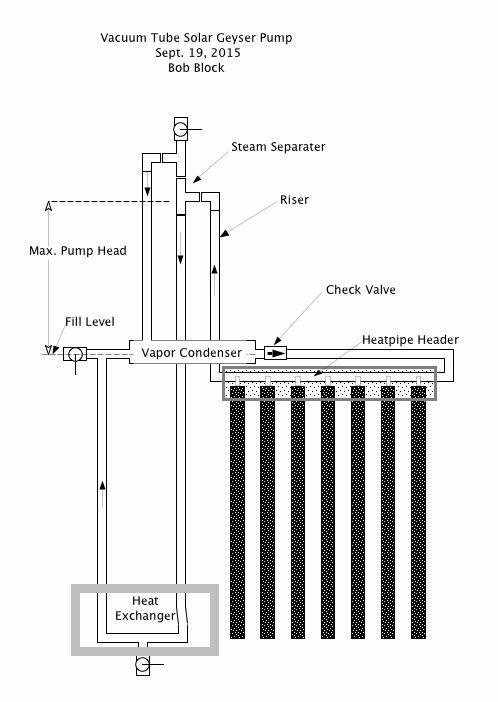 The condenser for the heat-pipe will be the exterior surface of a parallel array of geyser-pumping lifters. Last August, I was able to pump a 10-tube collector with a single lifter, but the pump rates were insufficient for a high efficiency system. I’ve also purchased a lot of Raspberry Pi and Arduino boards and sensors to instrument the experiments. I will try to be more diligent in my posting of developments this summer. Solar domestic water heating is a non-starter. Even though it makes practical sense, it’s not sustainable in a market driven by artificial financial incentives. Systems that should be installed for less than $3,000 are inflated to $10,000 so that participants can maximize incentives. I played in this arena for almost 10 years before I grasped the irony of this vicious cycle. Instead of pursuing the impossible U.S. SDHW market, I have decided to direct my attention to larger, higher-value systems. I think I have identified one that may optimally exploit the advantages of this system: space heating in northern tier states that have brutally cold ambient temperatures, high cost of electricity, no access to natural gas, and mostly clear daytime skies. My parents live in just such a situation. They burn about 13 cord of wood every winter to heat their home near Grand Marais, Minnesota. They live in an area that will never have access to natural gas, and because coal plants are being retired in Minnesota, the electrical rates are high. I am designing a solar heating configuration that would use a small evacuated tube/heat pipe collector that is optimized for geyser pumping. 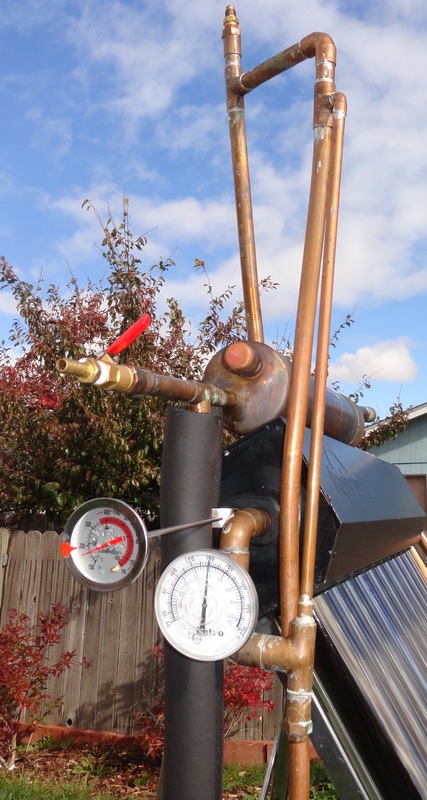 In the development of the Copper Cricket we balanced the pumping function with the heat collection/loss function, but in this new system I intend to maximize the pump function in the pumper unit so that it can drive the heat transfer fluid through an array of standard Apricus evac, tube solar collectors. At this point, I envision about 100 tubes being pumped by 6. The tubes will be mounted nearly vertical to capture the maximum winter insolation, while being almost hidden from the summer sun. I may even build a short awning over them to shade them from falling sleet and summer sun. I plan to mount the tubes two feet above the roof so that they will be above most standing snow. One of the homes is already heated with a hydronic in-floor system, the other has a forced air system with an easy-to-modify plenum that could house a hot water radiator. I have two applications for this space heating solution within 100 yards of each other. My goal is to design the systems and install them in time for the 2016/2017 winter. Both of these homes are on the shore line of Lake Superior and both have southern exposure. Since early October, I have been working on a test unit in my front yard that integrates geyser pumping with evacuated tubes. I had planned to write a series of posts describing the process and challenges in the chronological order, but instead I have decided to now post the current status and work backwards. My hope is that more of you will share ideas and collaborate with me on the development. I continue to believe that this is an important technology, one that should not die. Apricus Tubes and header with geyser pump. Notice double Copper Cricket on my roof. This is the second revision of this system. The first required a check valve to limit back flow. I added a vertical loop of pipe on the entrance side of the header to increase the mass against the acceleration of the steam. It worked. Also, I added a small loop on the exhaust side of the header so the steam would have to push a slug of liquid up the lifter and not be able to by-pass the liquid. This unit pumps almost perfectly. The only problem has been that every few days it locks up and doesn’t pump. The header reaches over 350F, but it must be completely empty of steam or liquid. The exhaust temperature reaches only ~200F or less. I imagine there is a surface of liquid in contact with the 350F void that probably has a very small, balanced amount of steam pressure that refuses the entry of any additional fluid. If I either add a little bit of vacuum or release some pressure the system jumps to life with lots of gurgling and internal bashing of liquid. It’s interesting also that the fusible plug on the right side of the collector doesn’t release. Even though the header is at 350F, the pressure in the system is only a few psi, and the heat doesn’t reach the fuse plug installed just a few inches above the header. 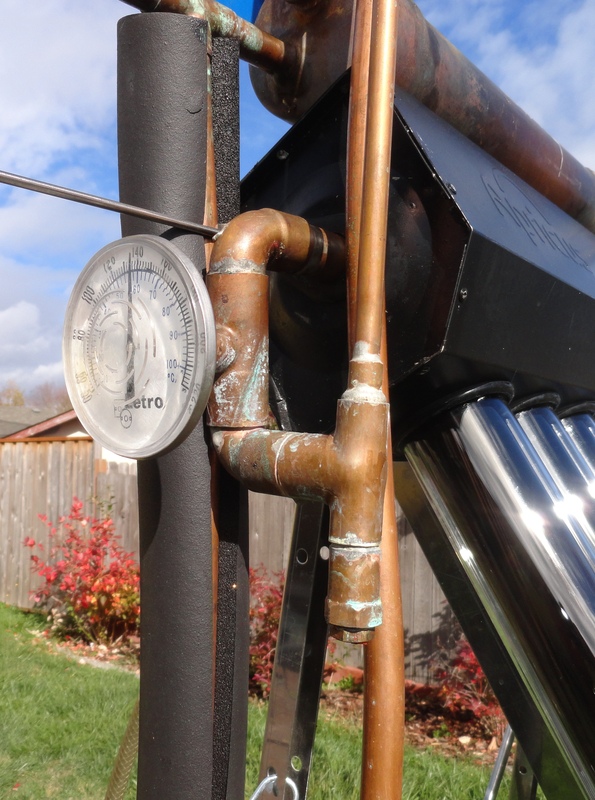 The Copper Cricket was, and still is, a simple, efficient and reliable solar water heating system. Most of those I visit these days are systems on homes in the process of being re-roofed. I help remove the collector and return to replace and recharge it. Once in a while a Cricket is out of sorts. The most I have had to do is flush the heat exchanger, replace the fuse plug and recharge it. 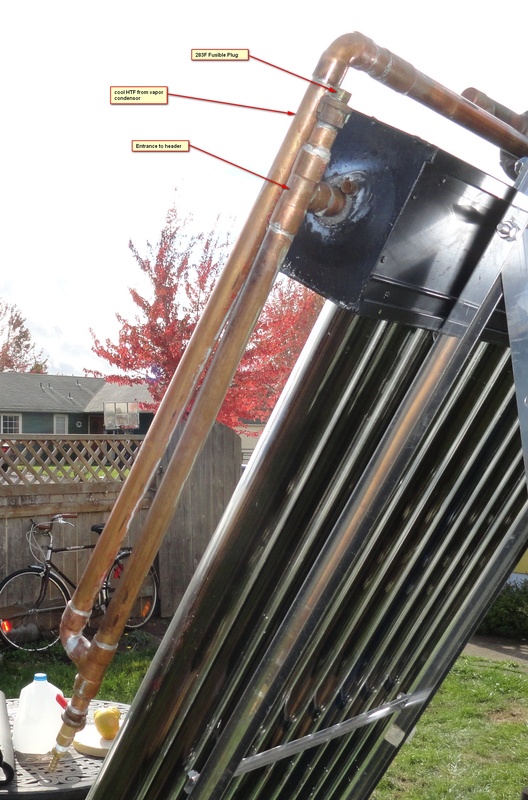 I had been considering integrating the Copper Cricket pump (geyser pump) with evacuated tube solar collectors. I envisioned several ways of doing this, but had not built one. In 2014 Raymond Lam of Silk Road Environmental contacted me because one of his clients had a non-functioning Copper Cricket, and he didn’t know what to do with it. I met him at the Cricket’s home in Portland and recharged the system. It had over heated while the home-owners were away on an extended summer vacation. Ray was excited about the system and spent the next several months trying to build a working model using the evacuated tubes and headers that he imports from China. After hitting a wall in development he hired me to troubleshoot his prototype. I visited him at his shop and determined pretty quickly that his prototype had no chance of working. He didn’t quite understand the functioning of the system. Instead of trying to get his to work, I showed him a sketch from my notebook. I said I thought this would work, but I hadn’t tried it yet. We rummaged through the fittings and fixtures in his warehouse and then went to the plumbing store to buy the rest of what we needed. We started to assemble the prototype that afternoon. I have to say, I was amazed at how quickly and easy it was to assemble his 20 tube evacuated tube collector. That night in my hotel I sketched the details of the prototype we would complete the next day. By 1pm we had completed the fabrication of the system and filled it with water. It pumped immediately, and I was able to track the rapid flow of heat through the uninsulated system. I suspected that the system would not hold a vacuum due to some of the odd fittings we had to use, so we let it run with the evacuation port open to the atmosphere. I didn’t try to measure the pump rate, but it was clearly fast enough to move fluid through the system, and very little steam was escaping the evacuation port which indicated that the steam was condensing internally. 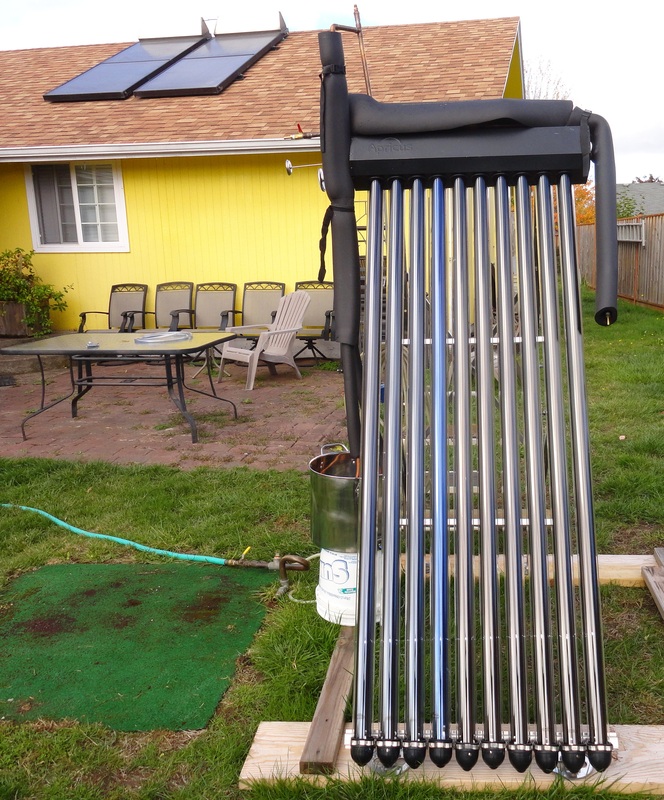 Ray has decided to move forward with a proprietary revision of the system, so I agreed not to post photos of the one we built at his site, but I told him I was I would continue to move forward on my own and publish the geyser pump solar water heater as an open source technology. Friday, I picked up 6 complete Crickets from Solar Assist in Eugene, Oregon. They were about to scrap them. I now have 4 heat exchangers, too. Also on Friday, someone in Eugene called and said he had a Copper Cricket in his garage and was wondering what he should ask for it to sell to his neighbor. Homeowners are removing the collectors to re-roof and can’t justify the expense of re-installing them. It’s a strange statement about the change in values from 20 years ago. Many of the homeowners removing the systems are not the original owners. I can see their point. In Eugene, we still pay less than 6 cents per kWh. A new tank now costs about $400 and a typical re-install and fill costs $600-$800. At about $100 savings per year, that’s a 10-year payback. That’s about the payback of a new system when these were sold with tax credits and rebates in the ’80s. 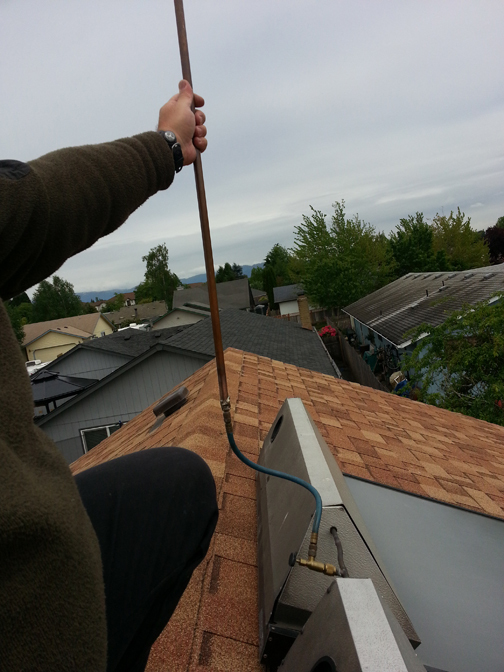 Installers now urge homeowners to buy heat-pump water heaters. They have a much easier installation, and we’re told that they have at least a 10-year life-expectancy. A Cricket owner contacted me and says he’s got an in-the-original-box Double Copper Cricket system for sale. It was intended to go on his house 20 years ago but sat in his garage instead. He now wants to sell it and is asking $2995. It’s in Redding California. 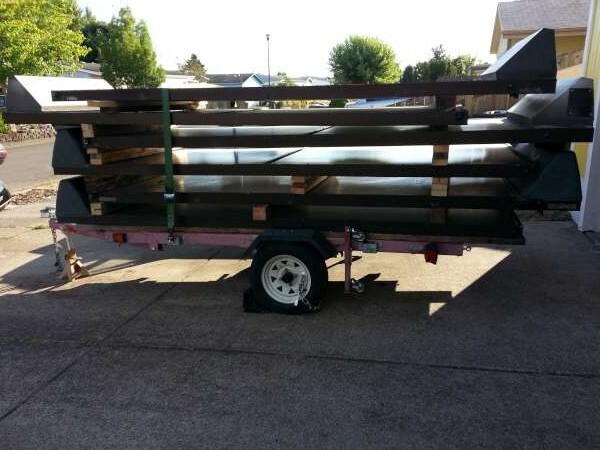 Contact Bob Block for more information bob@soloregon.com.